What does it mean to be inspired? It means to breathe into, to infuse (as life) by breathing, to draw forth or bring out. If we break down the meaning even further, the root of the word inspiration (similar to respiration), means to draw in, or to breathe life into. Spiri—or Spirit—is the source of all life. To draw in or breathe into that which you feel inspired to create, from the source of all life. To draw inspiration into yourself, begin by opening your heart to this flow of Spirit. Calmness and openness of the heart is an important part of finding your source of inspiration. It also helps to know what inspires you. Introspection, is a way to know what is your natural inclination for creativity and purpose. Once you know what that is, you can understand what you have to give others in this world. Is what you are doing fulfilling and satisfying to your right? 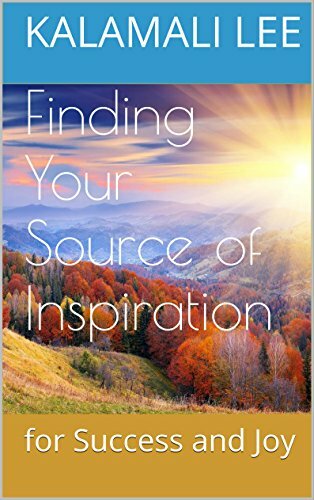 If not, begin to pursue that which your heart is guiding you to do, if you would find your source of inspiration again. What do I believe will make me successful in life? What do I believe will make me happy in life? Is it related at all to how I view success? What do I have already that brings me happiness and fulfillment? When I picture myself achieving my dreams and doing what I love—what do I see myself doing? Who do I have to give it to? How can I reach those who will be helped by this gift? What inspires me to take action in life? What makes me want to get up each day? Who and what do I live for? What do I feel my dharma is? How can I fulfill it? What are the ways that I can share my inspiration with others? Does this bring me joy? When I was young, what do I remember brought me joy? What did I enjoy doing to be creative? To have fun? To feel uplifted? What inspired me? How do these things relate to what I am doing today? In any way, can these be changed to align myself more “in attunement” with what brings me joy? Now what will it take to act on these things to live an inspired life? Tune into your inner guidance, trust your heart, and feel how the Cosmic Spirit is trying to guide you. Open yourself to the new opportunities that await.